The Light Opera Theatre of Sacramento has been delighting audiences for more than 30 years in the Sacramento area with the works produced by the partnership of W. Gilbert, librettist, and Arthur Sullivan, composer. The pair wrote 15 witty and humorous short operas between 1871 and 1896 with the D’Oyly Carte Opera Company. The Light Opera Theatre of Sacramento (LOTS) was founded in 1982 by Mike and Debbie Baad and Dolores Allen. Drawing on their considerable theatre experience, including roles with the Sacramento Opera and Davis Comic Opera, the Baad family assembled a core group of St. Mary's Church Choir members to start the St. Mary's Players. "H.M.S. 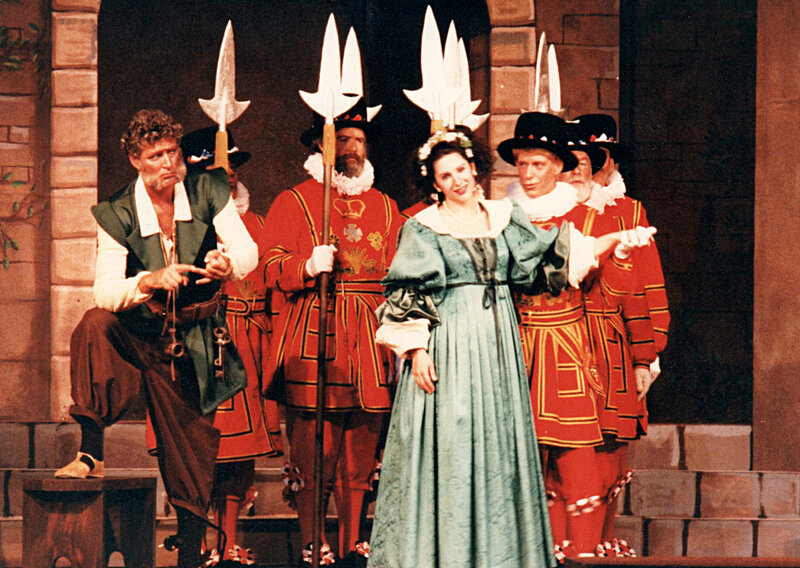 Pinafore," the St. Mary's Players first production in 1982, received rave reviews. "H.M.S. Pinafore" was followed in 1983 by The Pirates of Penzance and in 1984 by The Mikado. By this time, the St. Mary's Players, drawing on many talented performers from throughout the Sacramento area, had established itself with the theatre-going public, and its productions were attracting larger and larger audiences. In its fourth year, the St. Mary's Players became The Light Opera Theatre of Sacramento and moved to a new "home" at the Coloma Community Center. In 1989 they moved to its present location at the 24th Street Theater. The Pirates of Penzance (2012) in Davis, CA. The company has performed at the Woodland Opera House, Theater El Dorado in Placerville, at the Vet's Memorial Theatre in Davis, and in Roseville. The company is a member of the Sacramento Area Regional Theater Alliance (SARTA) and a founding member of the League of Sacramento Theatres. The final scene in Into the Woods (2013). In previous years the company has also presented Man of La Mancha, as well as Stephen Sondheim's Side by Side and Into the Woods.